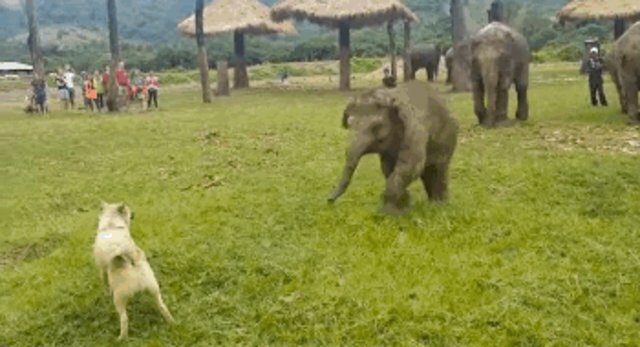 A very lucky dog recently had an experience most animal lovers can only dream of - partaking in a lively romp with an adorable baby elephant. 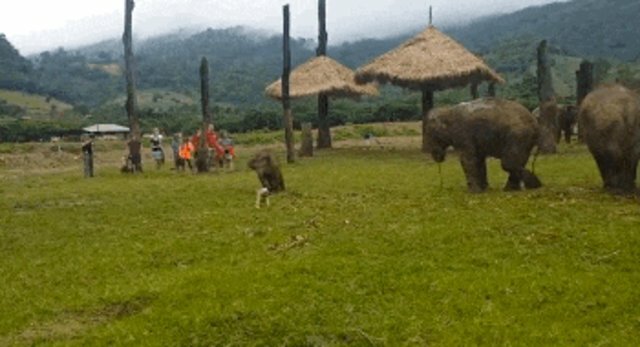 ... but that certainly doesn't stop the eager elephant calf from trying. 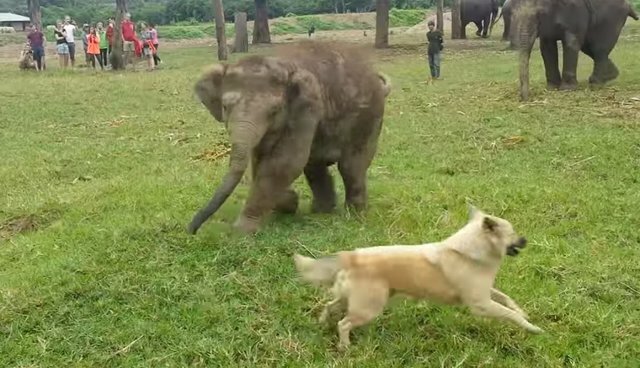 Canines and pachyderms might seem like unlikely playtime companions, but on the grounds of the Elephant Nature Park (ENP) in Chiang Mai, Thailand, there's nothing odd about it at all. In addition to providing a safe haven for dozens of elephants who were rescued from a life of hard labor and exploitation, the sanctuary is home to around 350 dogs as well. Although the sanctuary is named for its larger residents, the dogs there are appreciated just the same. According to ENP, the dogs come from difficult backgrounds - most were former street dogs or raised for the illegal meat industry. "We love our dogs no matter how big or small, naughty or nice, pretty or funny looking, they're all our family and we're blessed to have them smiling at us each and every day," writes the sanctuary on Facebook. Learn more about the happy lives of animals at Elephant Nature Park by visiting the sanctuary's website.